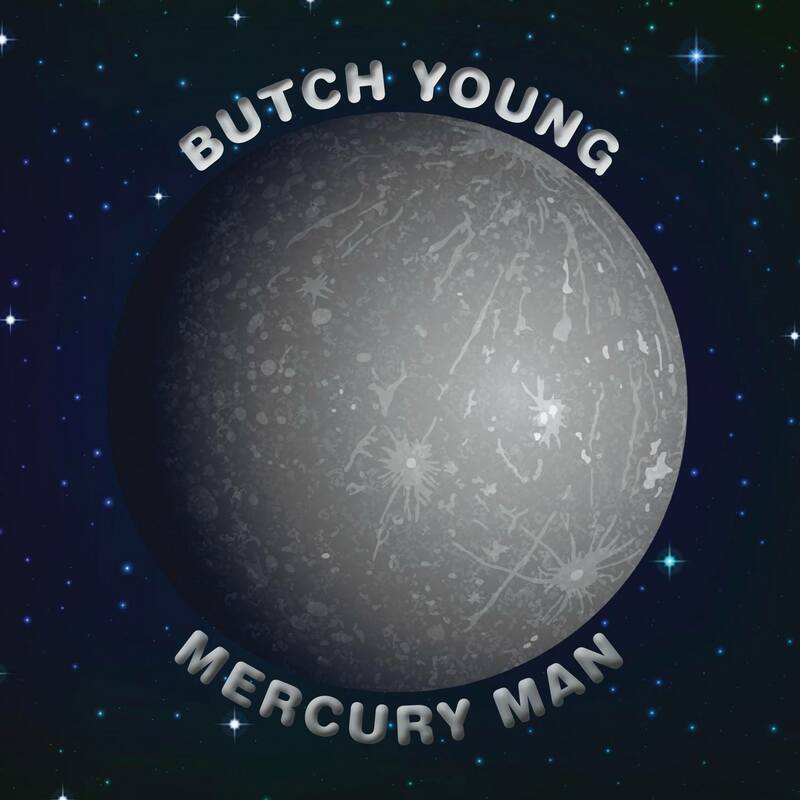 ALBUM REVIEW: BUTCH YOUNG, "Mercury Man"
Butch Young has been one of those names on the scene for a long time – you know you’ve heard of him – you know you’ve heard his music and yet… But now, with Mercury Man, you should be able to say with solidity and clarity, “yes, I do know Butch Young – isn’t “One Foot In” amazing?” and the like. A native son of Wayne, New Jersey who once played in the splendid-pop band In Color (where his bandmate was the always-wonderful Nick Celeste and producer was the other-always-wonderful Richard Barone), Mr. Young relocated to California and has been doing his thing out there since. Mercury Man is one of the most solid, cohesive pieces to come into my consciousness and it’s an instant guide for how to write a bold, brilliant pop song. Except he delivers twelve of them. Saying they’re Beatlesque may sound overplayed but just with the two opening stunners, “Mercury Man” and “Persephone”, these are glorious post-’68 pieces of orchestrated brilliance – a little Lennon and a little Harrison. He brings us into familiar territory but he’s his own artist and he obviously has the gifted ear and pen. “One Foot In” sounds like a collaboration between McCartney and Brian Wilson – love the “ba ba ba ba”‘s – and “Dime Store Jesus” is a beautiful melding of Harry Nilsson with just a smattering of Todd Rundgren. The jauntiness of “Sunday Driver” is ripe with delicious horn charts and a “Penny Lane”-like tempo; “Wonderful Life” is sheer pop joy and perfection with positivity and joy and “Child Of Nature” follows the same thread of warmth and melody. There are many elements mixed into Mr. Young’s stew – Beatles, Beach Boys, some Bolan-like stomping and so on. But as I said, he makes it all his own and he does so in eloquent and poetic ways – the lyrics fit the music and this album is one of those happy moments where it reads like a book. And I can’t help but love it. You won’t be able to help it, either.